Classiq timber floors has a range of luxury to affordable real timber as well as timber-look laminate and vinyl flooring. 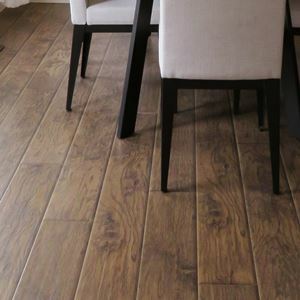 We cater for wood flooring options that would work best in all areas of your home. Our range includes real timber, bamboo, laminate and vinyl plank flooring solutions, all selected to be ideal for NZ conditions. Flooring covers a large area of your home, so understanding the differences in floor types can make a big difference. 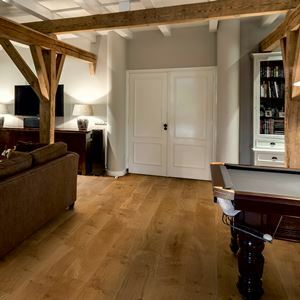 Timber flooring, also called engineered flooring, is the benchmark and crafted from real wood. It is a more cost-effective solution than solid hardwood planks, and at the same time provide the same real wood surface. Engineered timber can also be used in kitchens and installed over concrete slabs in basements because of its moisture-resistant qualities. Classiq Bamboo floors are crafted from 100% real bamboo to create a hard, durable and stable flooring for lasting beauty and performance. 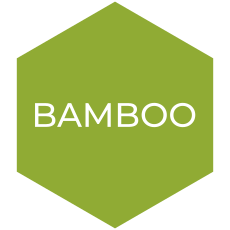 Bamboo is a stunning alternative to hardwood floors with a authentic beauty that will last a lifetime. Bamboo is renowned for its warmth and elegance and is a fashionable choice for every room of your home. 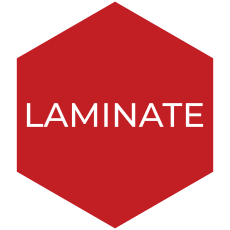 Laminate as timber look flooring has proven to be an innovative and cost-efficient alternative to real timber flooring, and is available in a wide selection of colours and grains. It's also more scratch and dent-resistant than real timber, making it the perfect choice for active households, and can be installed basements because it's moisture-resistant. 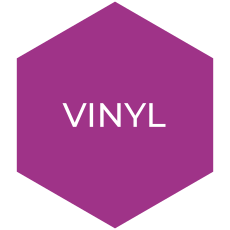 Classiq Vinyl planks are durable and waterproof luxury vinyl floors with printed surfaces available in a variety of textures and colours that are beautifully crafted to compare exceptionally well with real timber flooring. With so many choices, it's the perfect choice for almost any room, including kitchens, bathrooms, laundries and basements. Discover the perfect flooring for every room. As the social hub of your home, your kitchen is prone to high foot traffic and common cooking spills. 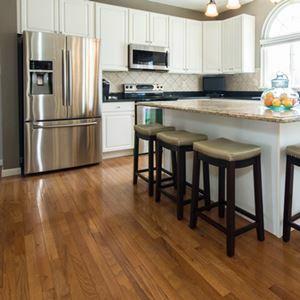 Timber, bamboo, laminate as well as vinyl plank flooring are are prime choices because they're simple to clean, come in a variety of styles and can be easily matched with a tile backsplash or kitchen design. Dining rooms being frequently used are subject to accidental food spills and timber flooring, as a stain-resistant material, can stand up to these demands. Timber, bamboo, laminate and vinyl flooring are all perfect options that will help create a warm atmosphere for a more formal look. 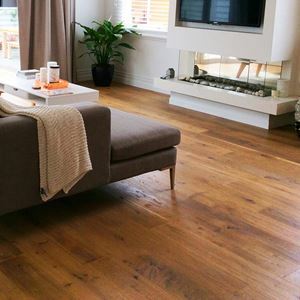 The biggest trend in living room flooring are hardwood flooring that creates a contemporary space. Timber and laminate flooring are viable options for living rooms that can be highlighted with area rugs for a attractive look. Rumpus or family room floors endure lots of activities from family and friends, so consider durable flooring options but that's also comfortable. Any of the timber or timber look flooring options will be a good fit, which combined with the right decor design, will create a relaxing environment. 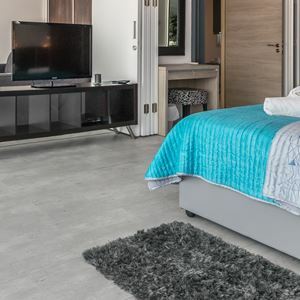 Where carpet is the traditional choice for bedrooms when it comes to comfort, timber and bamboo flooring have become popular alternatives, providing both fashion and function, and an upscale appearance. Laminate and vinyl plank flooring being another smart, cost-effective solutions. Flooring options in bathrooms are limited because of humidity from running taps and showers. 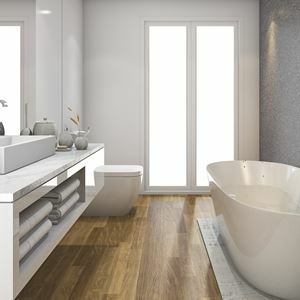 But if you like the timber floor look in your bathroom, vinyl flooring has been the flooring of choice for some time as it can withstand these moist conditions. You can order up to 3 Free product samples and we will ship them directly to your door. Just click the “ORDER A FREE SAMPLE” button on your selected product to add it to your cart. If possible, we would love getting the product samples back from you when you’ve made your decisions, so that we can re-use them for others. Thank you in advance. We offer a free quote and consultation service to help you make the right choice on your timber flooring. Please contact us with your requirements. We offer a complete care free installation option with approved installers throughout New Zealand. An installation warranty is included when you use our approved installers. Follow us for updates on our latest flooring product deals. Get an estimate cost of your new flooring project by simply filling in the required fields for each room in your home. Our flooring calculator will help you calculate the size and cost of your flooring project quickly and easily. Go to Our Flooring Cost Calculator. Get in touch for a free quote or if you have a question.